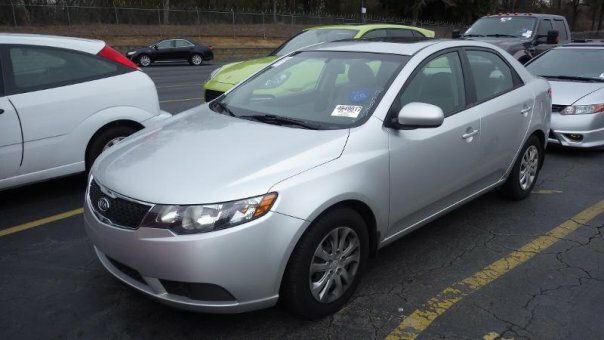 Manufacturer: Hyundai-Kia America Technical Center Inc.
Load your family into the 2012 Kia FORTE LX! It represents the optimal combination of practicality and environmental consciousness. This 4 door, 5 passenger sedan is still under 92,000 miles! Comfort and convenience were prioritized within, evidenced by amenities such as: tilt, turn signal indicator mirrors, and Traction control. Smooth gearshifts are achieved thanks to the efficient 4 cylinder engine, and for added security, dynamic Stability Control supplements the drivetrain. We’ve been part of life in America for over years. We’re in the auction business of making great car deals. But we also work every day to apply and share our know-how in ways that benefit people, the community, and our planet in order to build a better tomorrow. Explore the best Toyota models like Toyota highlander, Toyota Tacoma, Toyota Camry, Toyota rav4, Toyota corolla, Toyota 4runner, Toyota tundra, Toyota supra, Toyota sienna. Creating an account is easy, and it gives you the option to create progress on your Toyota car for sale. We partner with 1000s of auctions and be sure your ads will be displayed automatically on their auction websites. Expand your business streams nationwide with Toyota of Austin. Toyota of Austin is here to serve you with purchasing a new car and we take pride in helping you find the one that's right for you. Whether you are looking for a new or used car, our sales team can help you with its no-pressure philosophy. Let us show you what a great car dealer should be. We promise to make you car buying experience efficient and as stress-free as possible. To subscribe to our news, updates, new listings, important notifications, please, insert your email here.